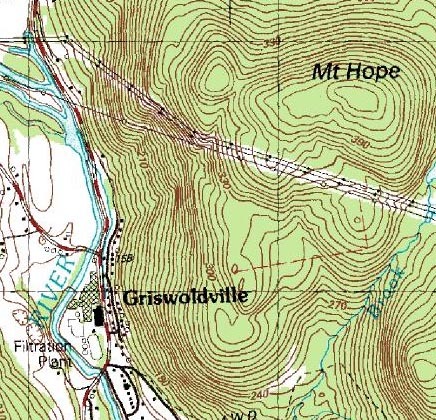 A ski area was rumored to be proposed near the Griswoldville section of Colrain, possibly in the 1950s or 60s. The rumored area would have been located on the western slopes of Mt. Hope, east of Route 112, likely serving millworkers. It is highly unlikely that the proposal moved beyond planning stages. There are no known remains of this area.